Ever since Cristiano Ronaldo's departure to Juventus, the superstar mantle was expected to be taken over by Gareth Bale. He was expected to fill the goalscoring void left by the Portuguese international and with the hopes of the Welshman stepping up, Real never signed a successor to Ronaldo in the summer, rather brought in Mariano in an attempt to provide cover for Benzema. 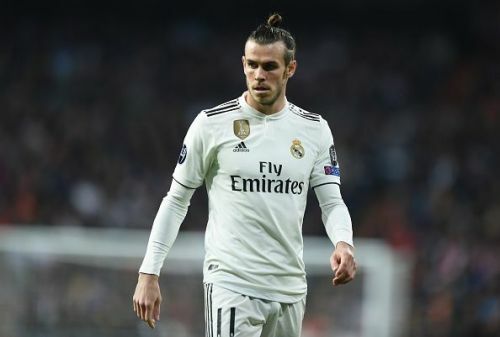 But the Welshman has failed to live up to the fans and the board's expectations as he has been out of form for the majority of the season, scoring 13 and assisting 5 in all competitions for Real Madrid. With all that said, let's take a look at some of the players who can replace Bale and make a more significant impact for the struggling Real side. A player who isn't known as much as the other players who are gonna be on this list, but someone who is very much capable of shining for Real Madrid. He has been a shining star for a Marseille side which has been really disappointing this season. He has scored 15 goals and assisted 9 in 28 appearances for the French outfit this season in all competitions as a winger. He may not be a so-called "Galactico" signing, but right now they need players who can do a good job and bring back their glory days after a rather disappointing exit in the Champions League against Ajax losing 4-1 at home. With his market value at €50 million, according to Transfermarkt, they can get him for a price little cheaper given the likeliness of Marseille making the Champions League places looks rather slim.